*keep an eye to the texture, duration needed very much depends on the chilling level of the cream as well as different brands, sometimes shorter, sometimes takes longer time. *started it slow then increase speed. Transfer to a bowl, wrap with cling wrap. In a pan on low heat, pour batter from hights, shake the pan to spread batter evenly, as soon as the egg batter is set, flip over to pan, fry one minute, then remove. Continue to pan fry another piece. 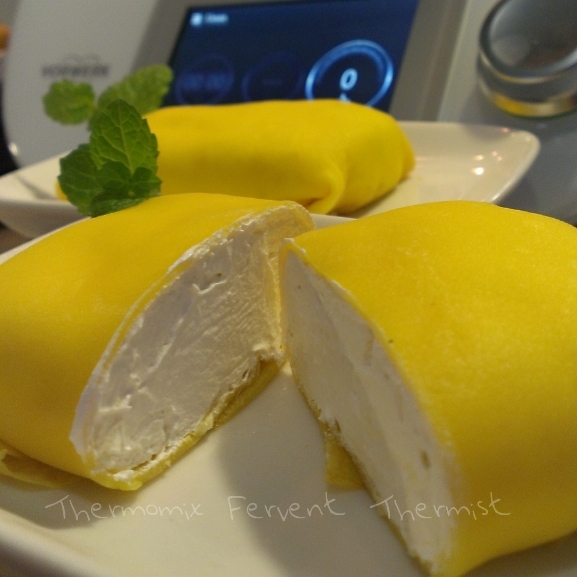 Take a look at the egg crepe, rough side up, place a spoonful of durian cream on top, envelop wrap the cream, at last give a slight pressure to help cream spread to every corner of the wrap. 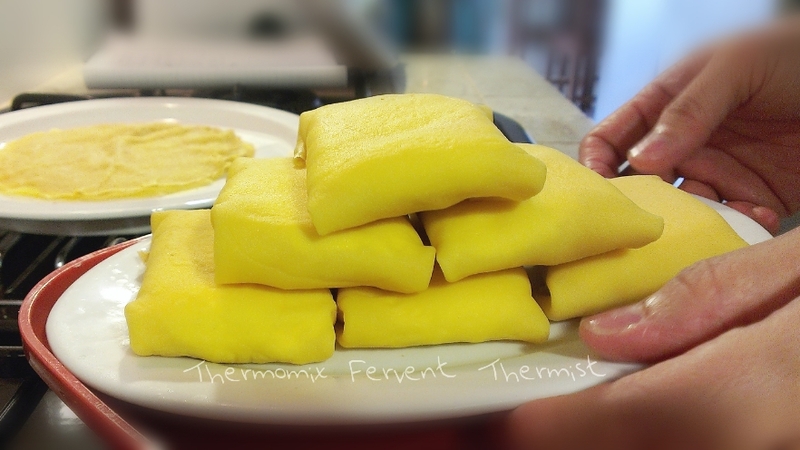 Now you will have many many many durian crepe wraps. Enjoy your durian crepe wraps!